Shannon Sweetnam likes the idea of a large family. A year ago she expanded hers by six. Volunteering with the Syrian Community Network, Sweetnam, a Lake Forest resident, “adopted” the Al Smadi family from Syria in January 2017, and she has been guiding them through the nuances of American life in Chicago along with providing emotional and some financial help ever since. The Al Smadis immigrated to the United States from a town in southern Syria in August 2016. After years of volunteering with activities involving her children, Sweetnam said she decided to branch out as her youngsters grew older and her involvement with their activities changed. When she isn’t volunteering, she’s either writing or, more recently, selling real estate. Sweetnam became a published author of short stories, writing more than a dozen between 2014 and last year. Her Frayed Cords and Pink Underwear won the Wilda Hearne Flash Fiction contest in 2017. She started a new career as a real estate agent with Berkshire Hathaway HomeServices HHS KoenigRubloff Realty Group in Lake Forest last year as well. Amidst all her writing, work and raising three sons, she wanted to do something to help another family. That is when she connected with the Syrian Community Network. 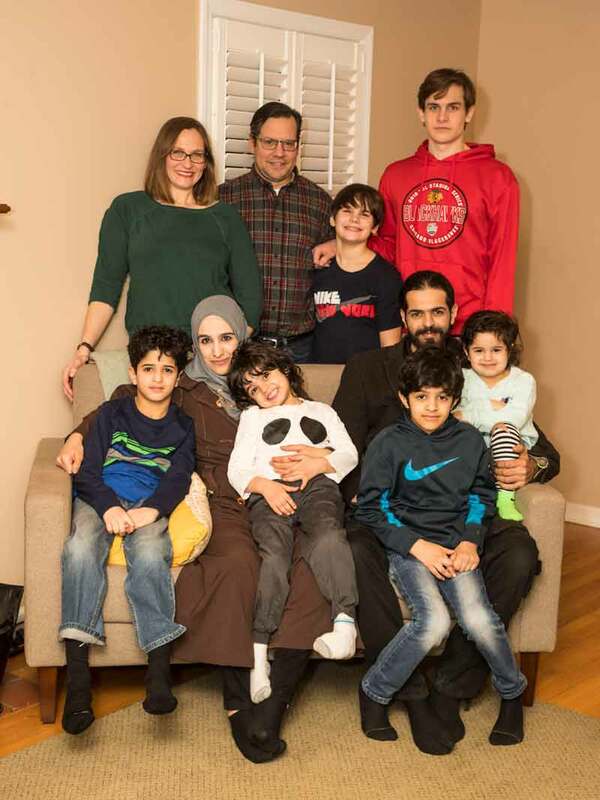 The Al Smadi family, (left to right) Mohammad, 9, Hayfaa, Zayed, 5, Smadi, Ahmed, 8 and Khawlah 3 1/2 and the Sweetam family Shannon, Bill, Owen, 11, and Will, 16, at the Sweetnam family home in Lake Forest. Hayfaa Al Smadi with her daughter Khawlah, 3 1/2. In this case, the family’s extended kin are 6,000 miles away. Sweetnam has helped Smadi Al Smadi, the father, find a better job as well as start a part-time business. When she first began working with the family, Al Smadi was working as a part-time cook. He was unable to utilize his skills or his entrepreneurial spirit. With the help of the Lake Forest-based Karam Foundation, Sweetnam helped Al Smadi find a job with a Cricket Wireless mobile phone store and soon the company was shuttling him between shops troubleshooting. A skilled painter, Sweetnam assisted Smadi setting up a part-time painting business. While working for Cricket, Al Smadi was painting new stores and helping to get them ready to open. Sweetnam said he also helps maintain the company’s wireless network in stores, fixes phones and works with customers. She has guided Hayfaa Al Smadi, the mother, through the process of learning English so she can eventually earn an American degree. Hayfaa Al Smadi was six months away from earning an education degree from Damascus University when the family had to take shelter from the civil war in Syria. 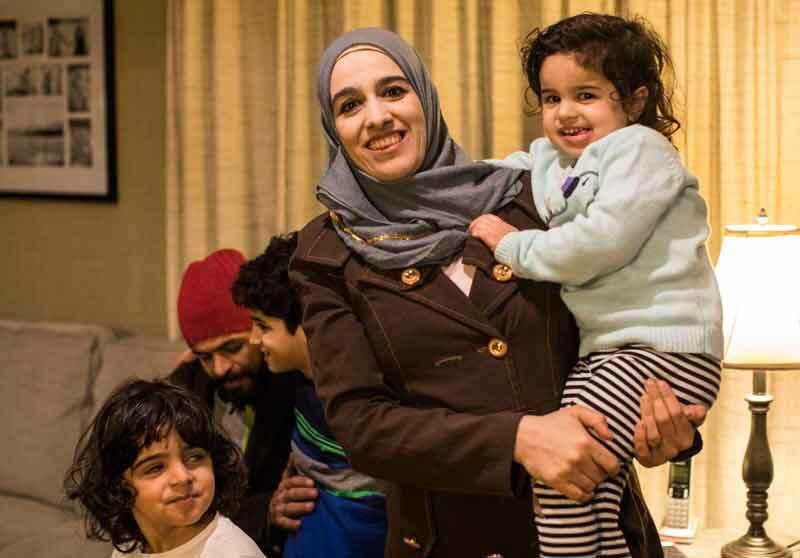 In shepherding Hayfaa Al Smadi through the education process, Sweetnam helped her schedule English classes at Truman College while Hayfaa Al Smadi’s four children are in school or preschool. All four are enrolled in Chicago Public Schools programs. Sweetnam helped guide Hayfaa Al Smadi through the school enrollment process. 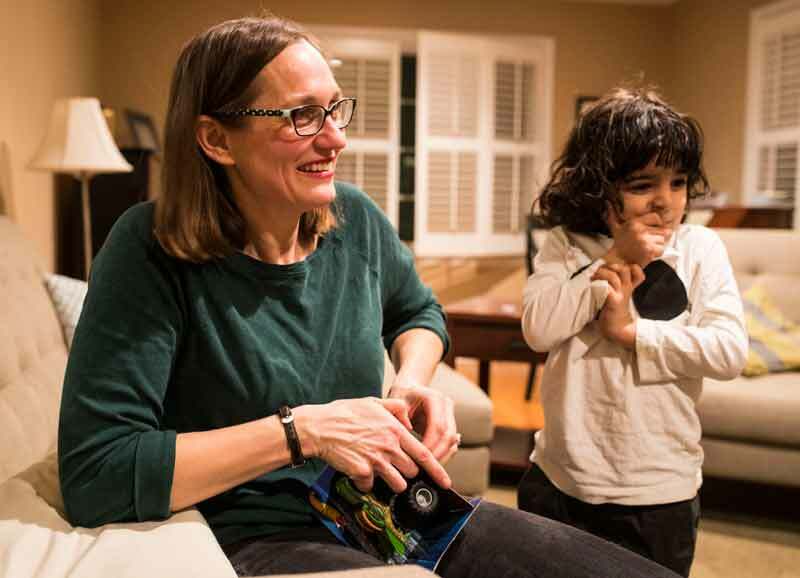 Eventually Hayfaa Al Smadi plans to get her college degree in elementary education in the United States and teach young children, according to Sweetnam. 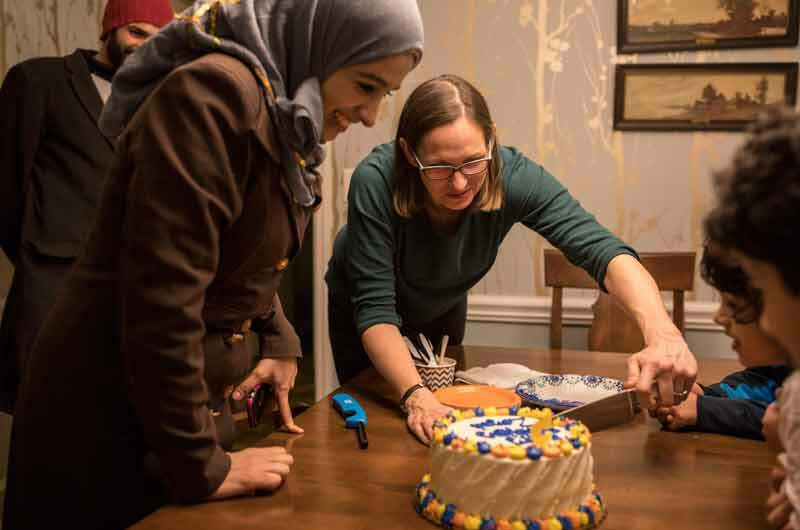 After the Al Smadis arrived in the United States in the August 2016, Sweetnam met Hayfaa and one of her daughters in November through the Syrian Community Network. They bonded quickly. 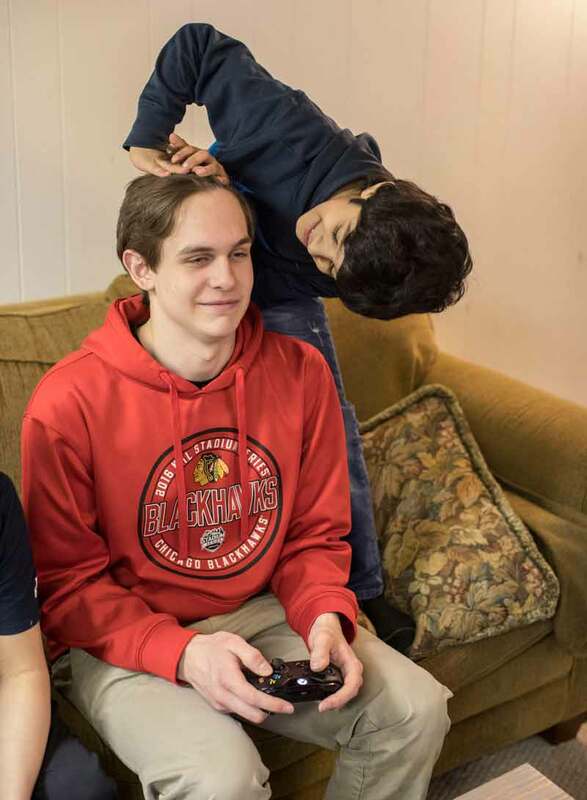 In January 2017, Sweetnam was helping them adjust to the United States along with providing financial aid. Living in a basement apartment in Chicago’s Rogers Park neighborhood, the Al Smadis were unfamiliar with the way things are done in the United States. Smadi Al Smadi knew how to fix a lot of things around his apartment but did not have the money to buy needed materials to do it around his new home. Along with maintenance deficiencies, the apartment was infested with bedbugs, according to Sweetnam. Smadi Al Smadi thought he had to fix everything himself as was the custom in Syria. Sweetnam realized something had to be done to improve the Al Smadis living conditions. Will Sweetam tries to play video games despite the playful antics Mohammad Al Smadi, 9. 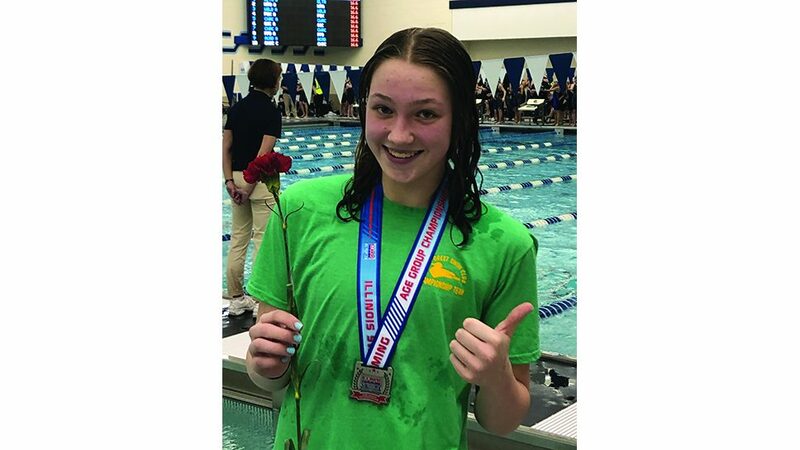 When it came time to help the family move, Sweetnam said she reached out to the Lake Forest-Lake Bluff community on social media to help raise money for new clothes. She paid for the a trailer to move their goods and numerous community members helped with gift cards to places like McDonald’s and Target. She said people in the community pitched in with donations and goods. She started a Go Fund Me page raising $1,620. A dentist was found to donate his time to care for the family’s dental needs. 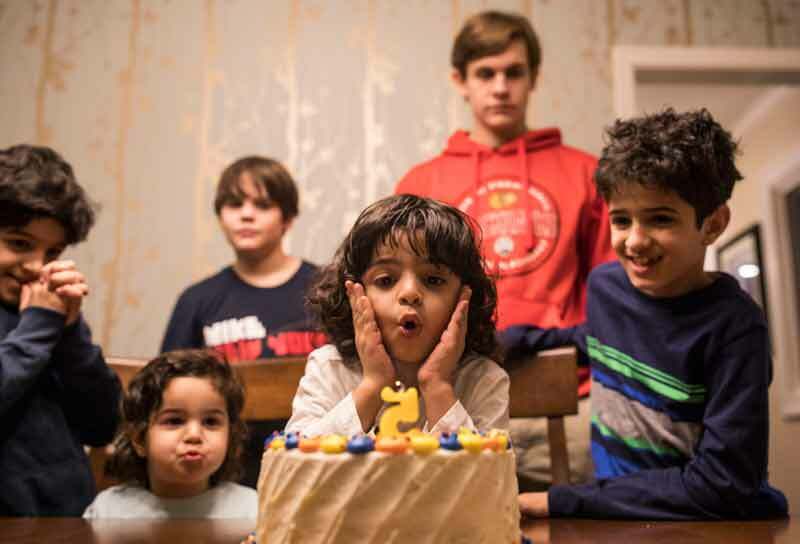 The four Al Smadi children — Mohammad, 9; Ahmed, 7; Zayed, 5, and Khawlah, 3 — are in school or preschool becoming Americanized. When Sweetnam suggested to their parents that the kids should attend summer camp, a cultural barrier was overcome. Money for camp came from the Karam Foundation, and a national grant took care of swimming lessons, according to Sweetnam. While Hayfaa is learning English, she had little trouble explaining why her family left Syria five years ago. The family made the decision to leave Syria five years ago. Sweetnam said they were able to get across the border to Jordan with the help of Jordanian police. They stayed there for four years until they were able to get to the United States. The family is adjusting to life in Chicago, especially Mohammad. He is playing soccer, and when asked his favorite food he had a one word answer: pizza. 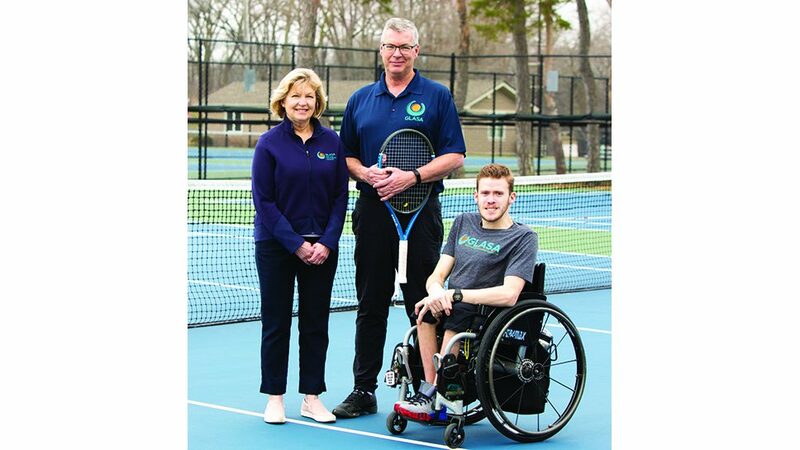 Great story, and what an incredibly generous family!